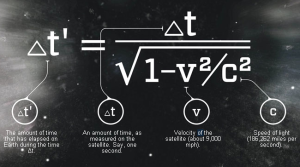 Like the GPS satellites around the other planets in our solar system must have varying levels of velocity and gravitational time dilation as they orbit closer and further from the sun, is there an equation? How is time on Mars different than on Earth? Mars’ own gravity is also less than Earth’s, has the Curiosity rover given us any information on these questions? However, I felt that we should get a few things right. We tend to want to compare things relative to what we are familiar with. This means that we compare the GPS satellites against clocks on Earth. Because these GPS satellites will be orbiting the Earth, the gravitational influences of the Sun will as good as cancel out. Or, to shorten it, the GPS satellites’ operation require relativistic corrections from the General Theory of Relativity (GR) from Earth’s gravitational effects, and the corrections from high velocity due to the glorified Special Theory of Relativity (SR). Of course, those guys calculating from GR will not bother with calculating the correction from SR again, because GR includes SR. But, yes, the Sun’s gravitational effects should also affect the readings. The practical people who made GPS work, however, decided to just slow down the clocks on these GPS satellites to fit the time on Earth. Instead of doing the proper calculation all the time, they decided to just give a time that is correct on average. Of course, this implies a heck of errors being introduced that would be quite the bit more difficult to correct for, but it is great enough to work. 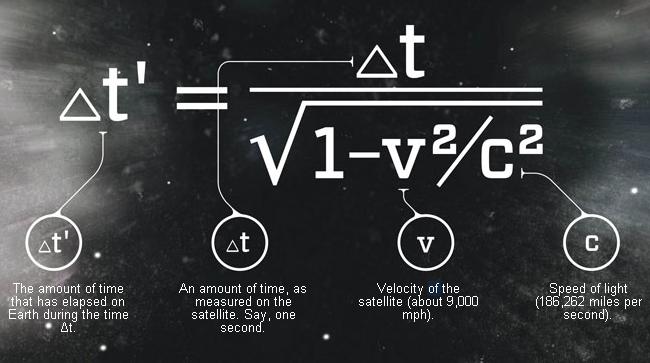 Sending stuff to Mars, on the other hand, requires the full calculation. However, by then, we could just calculate the corrections ahead of time and minimise the headache. Sadly, none of these are theoretically new; by that I mean that these provide evidence that GR bloody works as initially intended. The equations required to understand them were already written down, and these were merely applications. For those that are interested in how this whole shebang works, I can give a brief description of GR. I do not know why, but just about everybody explaining relativity begins with SR directly, and then either say some vague thing for GR, or dump you into the land of abstract mathematics. Instead, relativity starts with an understanding of what direction actually means, in 3D space, and with Galilean relativity. This very simple idea now has the ridiculously difficult sounding name of tensors. Then, we can draw some pictures for SR. The difficulty that is attached to tensors only starts becoming realised when we move into differential geometry, but we can minimise the meaninglessness by physically motivating every step of the way. The books then do a good job of leading up to Einstein’s Field Equations which is the main content of GR. Of course, applying the mathematics is important / difficult all on its own, but we can enjoy just the understanding, no? Otherwise, I can only recommend some books that are nice, short and understandable. For the nice pictures (no loss in material understanding! ), I recommend Sandar Bais’ Very Special Relativity. Amazingly short book. For GR, I recommend reading Schutz’s A First Course in General Relativity. Skip the mathematics and just understand the method of inquiry, and enjoy the treatment for all the more interesting bits of GR that entertain the public mind. On a related note, Ask a Mathematician also has a great response on the topic.